World No. 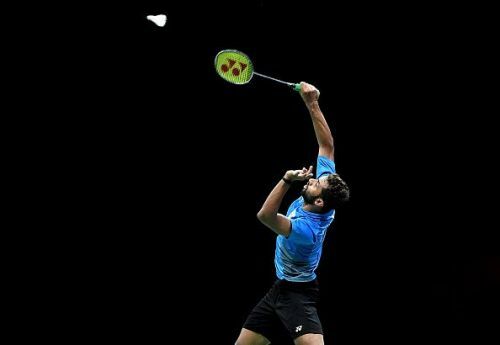 11 HS Prannoy will be leading the Indian charge as the most prestigious badminton tournament on the calendar -- the World Championships --- gets under way in Nanjing on Monday. With none of Saina Nehwal, PV Sindhu or Kidambi Srikanth featuring on the first day schedule, all the focus will be on the Kerala shuttler. Prannoy has a relatively comfortable opener as he takes on the 109th ranked Abhinav Manota of New Zealand. With him being the heavy favourite in this clash, it would be the kind of match Prannoy needs to find his feet before the matches get tougher. Swiss Open champion Sameer Verma is the second Indian singles player, who will be in action on the first day of this elite competition. Verma has a tougher job as he faces a tricky opponent in Lucas Corvee. Verma is the higher ranked player in this clash as he is placed at 19th -- 22 places above the Frenchman. But Corvee has proved to be a cause of trouble for the Pullela Gopichand protégé this year. They have met twice -- both times this year -- and have split the meetings. Both those matches went the distance. So, if the trend continues, Verma has an uphill task at Nanjing. There will be quite a few doubles teams in action on Day 1 as well, the most prominent of them being the mixed doubles pairs of Pranaav Jerry Chopra-Sikki Reddy and Ashwini Ponnappa-Satwiksairaj Rankireddy. Also in action will be the Lagos International men’s doubles champions Manu Attri and B Sumeeth Reddy and the rising mixed doubles pair of Rohan Kapoor and Kuhoo Garg.